The first model of accelerated psychodynamic therapy to make the theoretical why as important as the formula for how, Fosha's original technique for catalyzing change mandates explicit empathy and radical engagement by the therapist to elicit and harness the patient's own healing affects. Its wide-open window on contemporary relational and attachment theory ushers in a safe, emotionally intense, experience-based pathway for processing previously unbearable feelings. This is a rich fusion of intellectual rigor, clinical passion, and practical moment-by-moment interventions. This is a splendid book that provides a creative synthesis of emotion theory, mother- infant research, and attachment theory and research, with principles and strategies drawn from both psychoanalytic and experiential traditions. A thoughtful guide to therapeutic intervention, it places emotion center-stage while always keeping in mind the relational matrix within which the various affective processes unfold. The result is a rich and artfully woven tapestry of ideas and therapeutic principles that will stimulate and reward clinicians of all orientations. Dr. Fosha makes an original and profound contribution to the theory and technique of Short-term Psychotherapy, considerably broadening Alpert's Accelerated Empathic Therapy, out of which it has grown. Because of her poetical writing, her book is a pleasure to read: one might well imagine that Winnicott--to whom she acknowledges her debt--had come to life to write about Short-term Psychotherapy as it stands today. Affect is one of the last of the major psychological processes in psychotherapy to be focused on. This book is filled with a rich, deep understanding of how it works and how to work with it to produce lasting change. 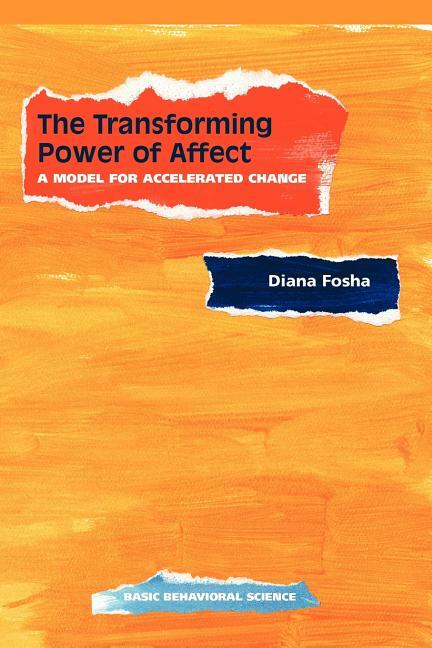 In Fosha's view, affect is the soil in which attachment grows; she demonstrates how acts of ommission and commission in caretaking interactions can lead to the unbearable pain that must be faced in therapy in order to heal. Fosha does an excellent job of applying the psychodynamic triangle of conflict to affective process, leads us through transcripts that differentiate defensive and primary adaptive core emotions, and offers strategies for facilitating emotional experience that in and of themselves make the book worth reading.